First of all, we would like the thank you for using our work. 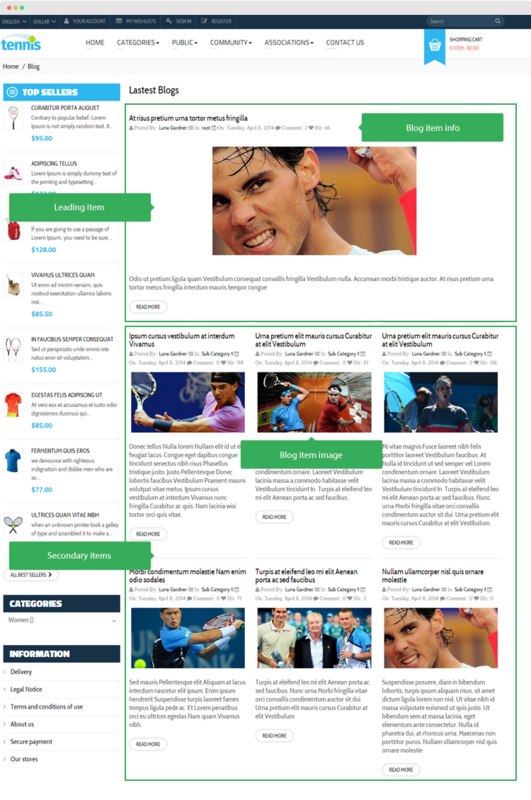 Leotheme is also famous for custom work, if you have trouble or help with your website, coding, .... you can find us on Leotheme.com then we will support you or give you suggestions. 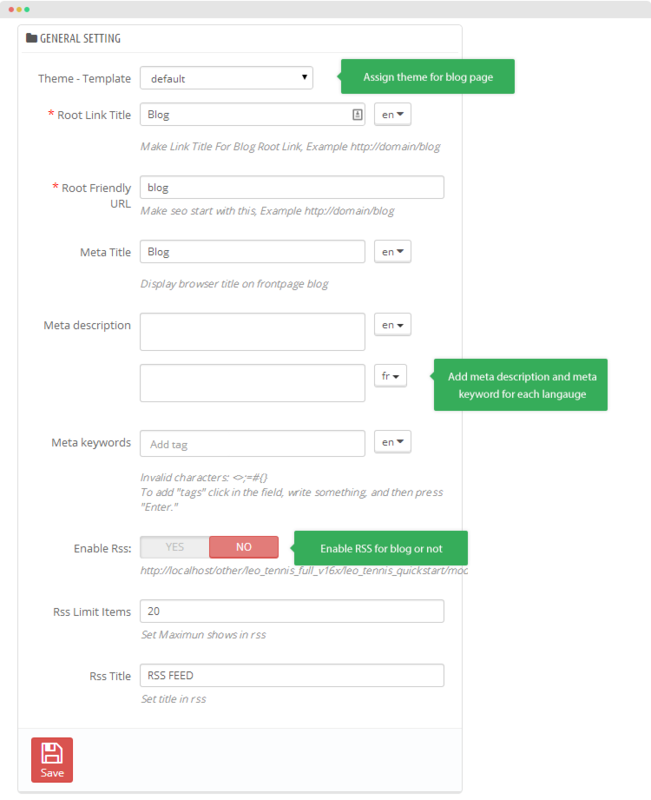 Leo Blog is a flatform for Blog for Prestashop that includes everything for your site blog page. 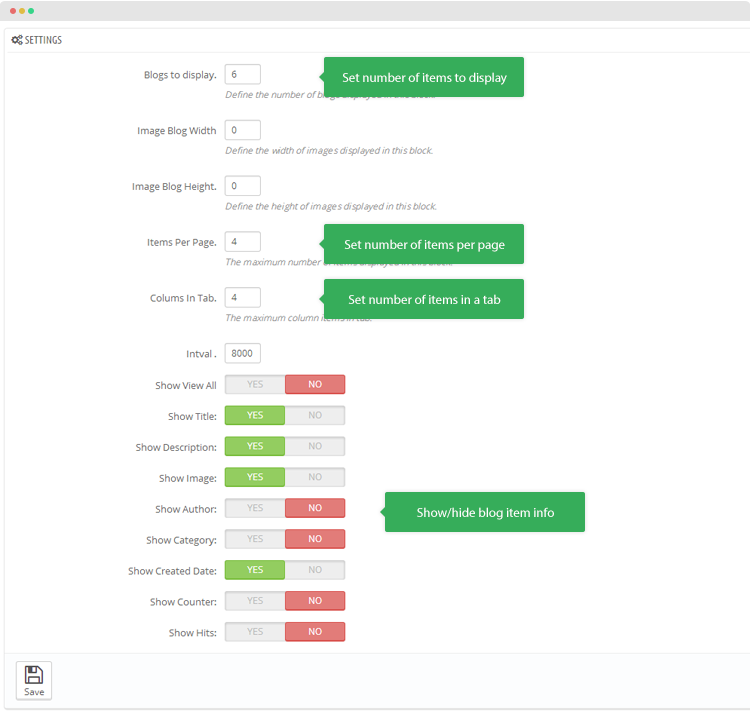 The Blog dashboard allows you to configure how the displaying of blog page, listing item view, item detail view. 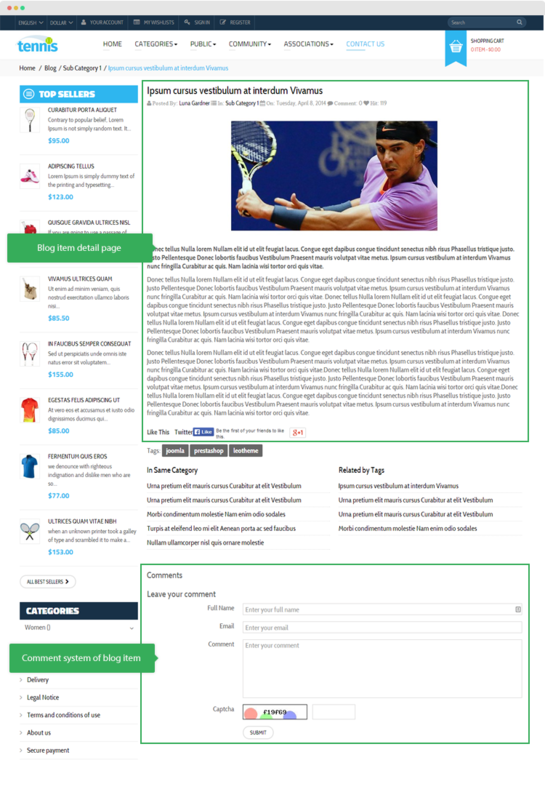 You can also create theme, template for the blog page. 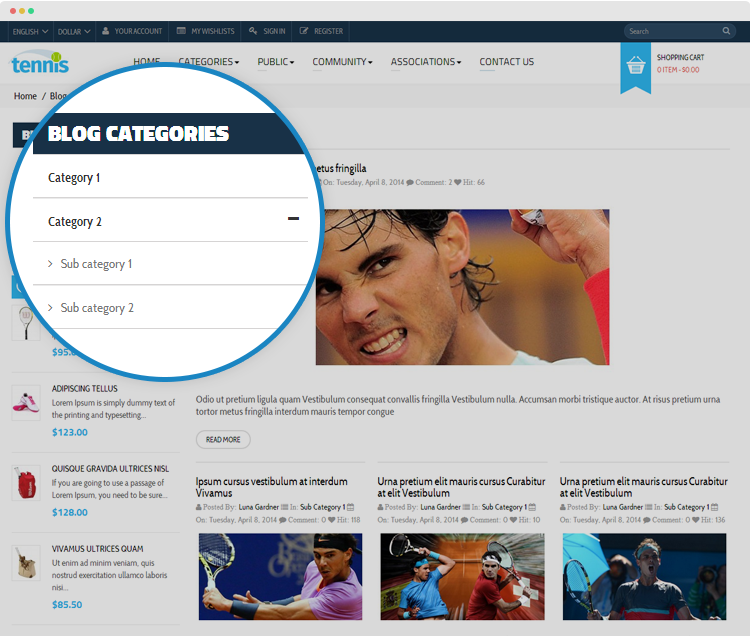 The blog content management includes: Cateogry management, blog item management and comment management. It alo has 2 modules: Leo Blog management and Leo Latest blog - display latest blog items in slide in any hook. 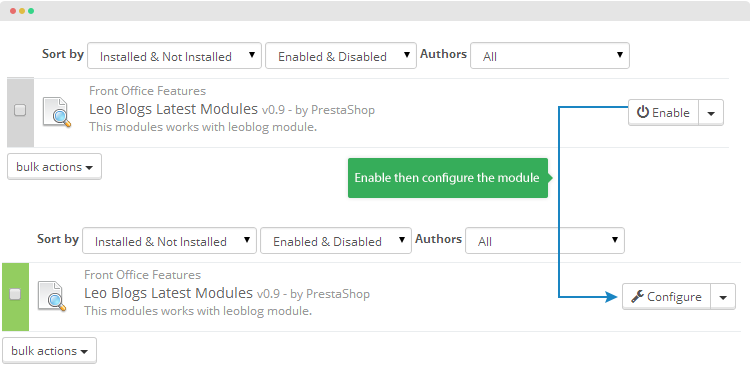 Currently, the modules are only included in the pretashop theme that support the module by default. So you have to download the theme package then the modules will be there for you to use. After install the modul, you'll see the Blog Management in the sidebar in the Back Office. That's the place to manage blog content and configuration. 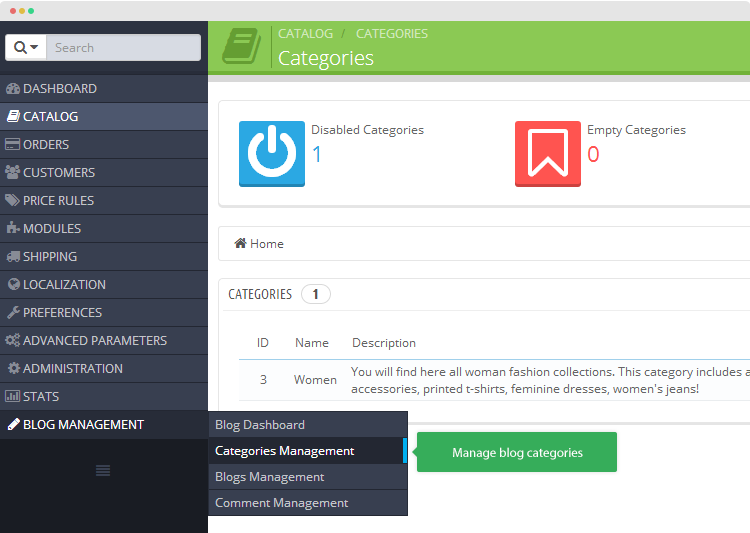 First, go to Blog Management >> Categories Management to manage your blog categories. 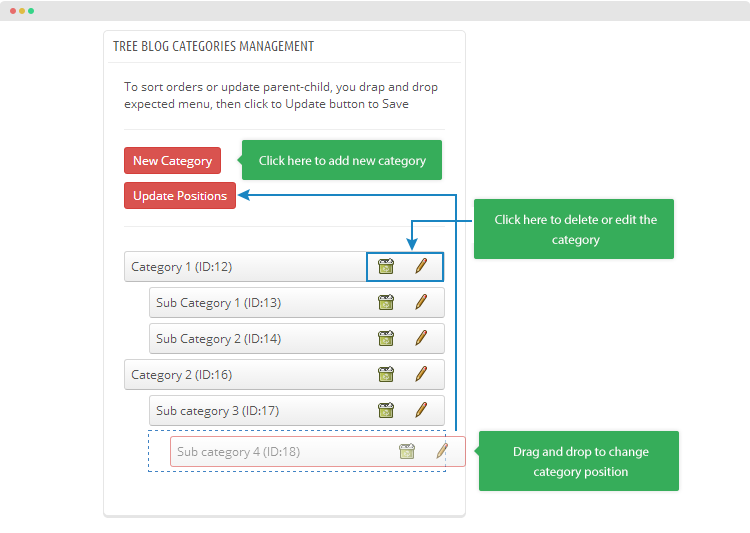 In the Blog Management panel, you can create categories, sub-categories, drag and drop to change category position, edit or delete an existing category. 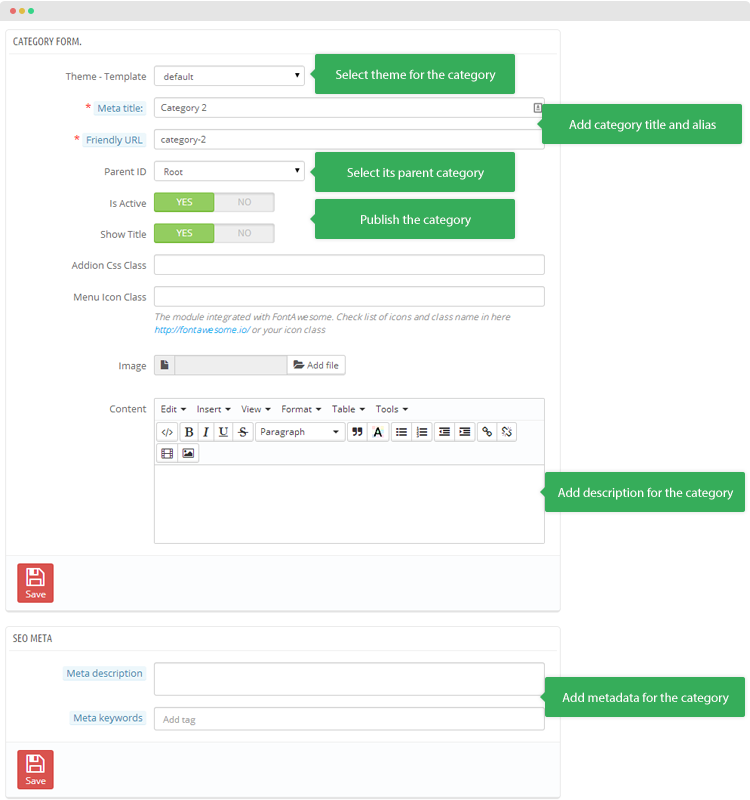 Now create a blog category. Go to Blog Management >> Blogs Management to manage your blog items. 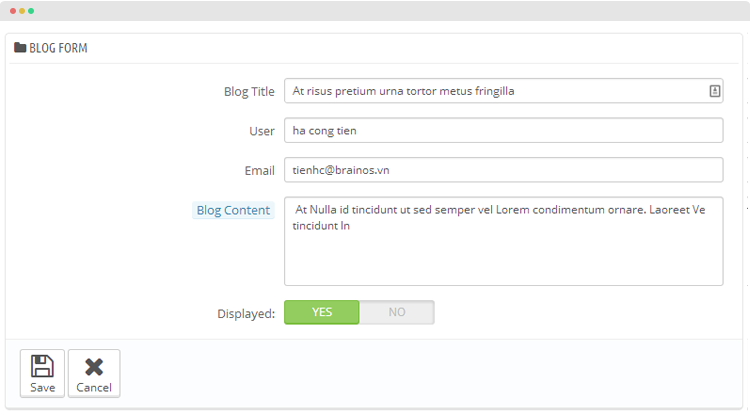 In the panel, you are allowed to create new blog item, edit and delete any existing blog item. 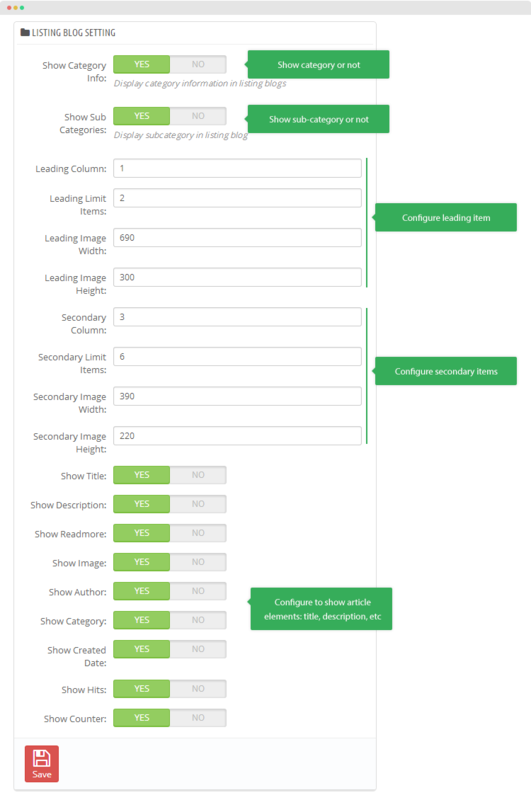 The following image show you the creating blog item screenshot. 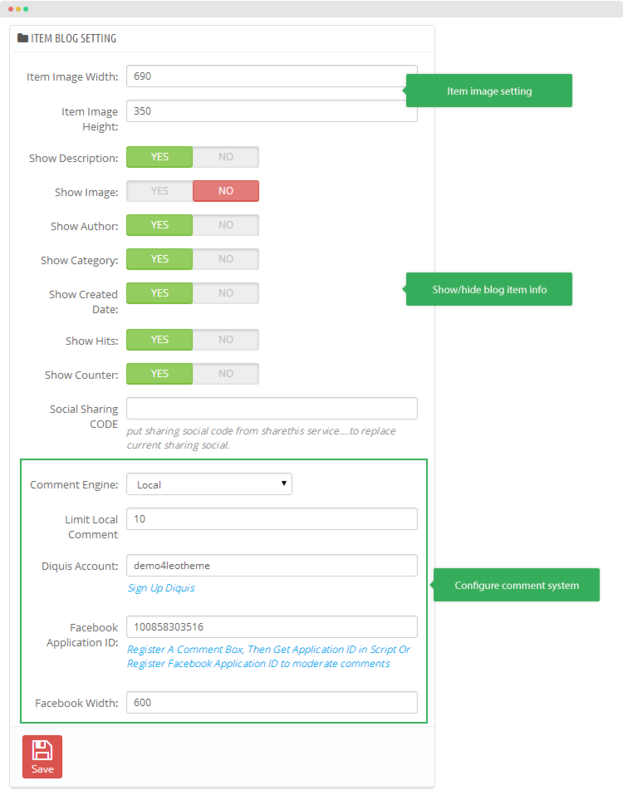 Go to Blog Management >> Comment Management to manage your blog item's comment. In the Manage comment panel, it lists all comment in your blog. You can delete, unpublish, or edit any of those comment. The following image show you the info included in a comment that you can edit. 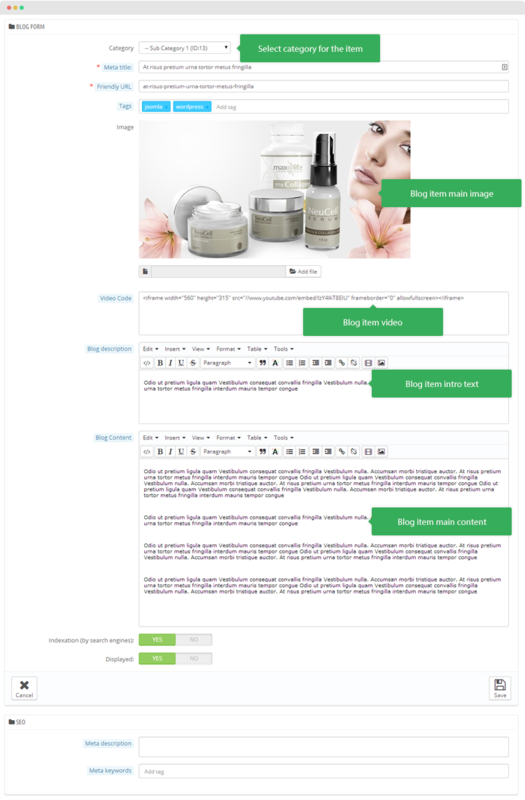 The blog dashboard is to configure the template/theme for blog page, listing blog item and blog item detail page. Add meta title, meta description and meta keyword. When install the module successfully, access Modules then search for Leo Blog module, enable the module then open its setting panel. 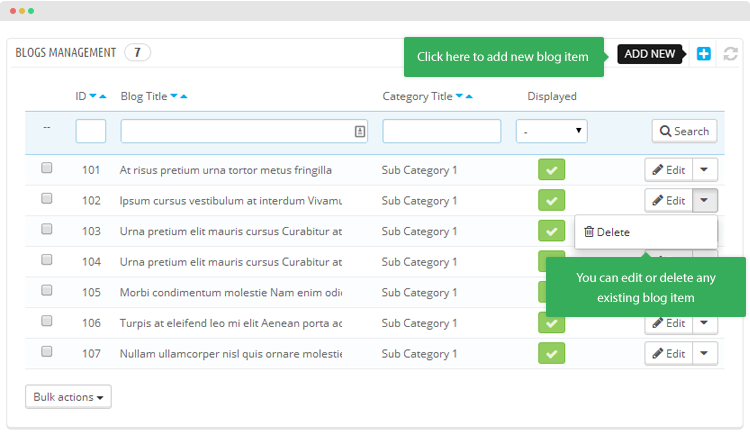 The module is to display list of latest blog items in any hook you want.